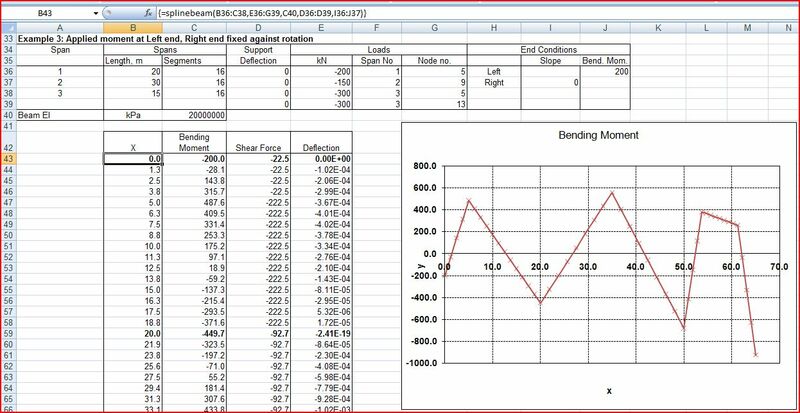 The previous post in this series derived cubic splines with specified end conditions; either a specified curvature or a specified end slope. 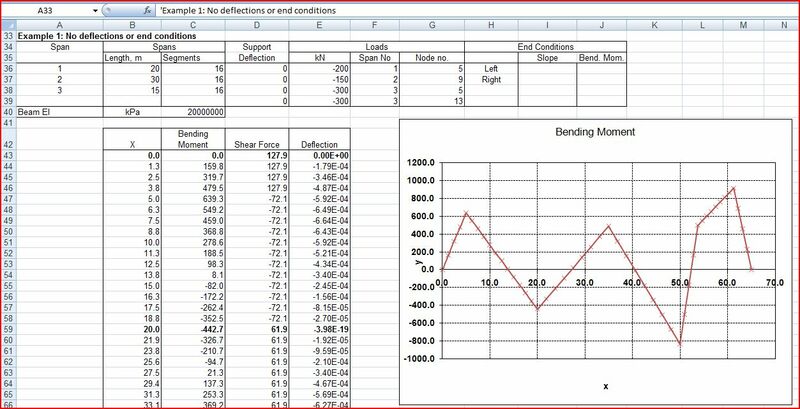 I have adapted the splinebeam function to allow input of specified end conditions (either a fixed slope or a bending moment), and also to allow input of deflections at the supports. 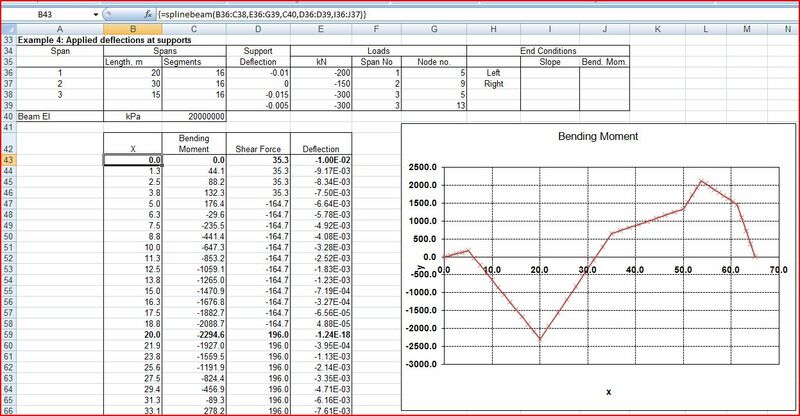 The spreadsheet file may be downloaded from Splinebeam2. As usual it includes full open source VBA code for the included functions. 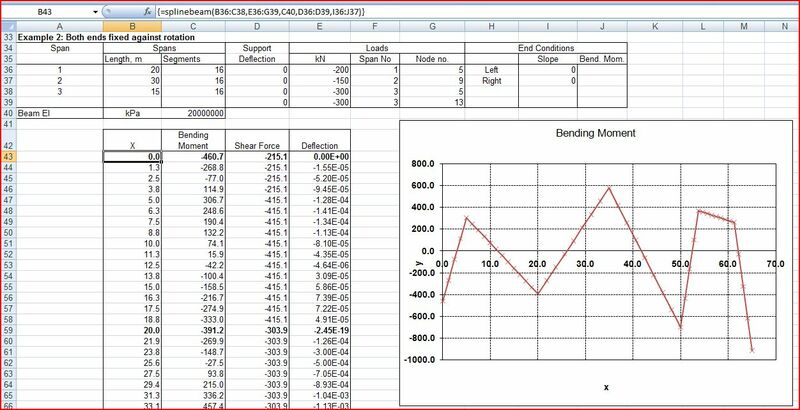 The screen shots below show output for four example cases of a 3 span beam, together with Strand7 output for the same loading, showing near exact agreement. Click on an image to view full size.